Experts say a new academic field of "synagogue studies" could help invigorate Jewish places of worship. SAN FRANCISCO, Nov. 5 (JTA) — When Westchester Reform Temple breaks ground on its new sanctuary and lifelong Jewish-learning center next spring, the 1,200-member congregation will be making some interesting changes. 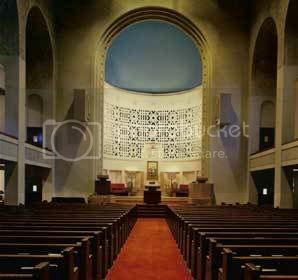 The bimah, or dais, no longer will be front and center above the worshippers but will be lowered and in their midst, to emphasize that the praying going on at the front of the room is no more important than that taking place among the congregation. There will be space for musicians to gather, rather than the current space that holds only a lone organist. There will be room for people to move and dance during services. A redesign committee has been working with the help of leading experts in the field, but Jacobs says they could have used even more guidance in thinking about how the design could reflect the congregation’s needs and priorities. That’s what a new institute is trying to promote: the creation of a field called synagogue studies, which would encourage practical-oriented research into how synagogues function and how they can be improved. “I only wish it existed five years ago,” Jacobs says. The S3K Synagogue Studies Institute was launched Nov. 3 by Synagogue 3000, a national organization devoted to synagogue transformation through innovative leadership. The institute has an advisory board made up of the heads of all the major, and several smaller, rabbinical seminaries and of synagogue-transformation organizations, foundation representatives and major figures in the field of non-Jewish congregational studies. It also includes a virtual academy boasting more than three dozen scholars in Jewish studies at various academic institutions, who will be encouraged to generate research that congregations can use. Experts say the undertaking is overdue, with synagogue membership declining in many areas of the country and as several national initiatives have emerged to re-energize synagogue programming and worship. There already is a field called congregational studies, which emerged as a discipline in universities and Christian seminaries in the early 1980s. It focuses on how congregations — churches, mosques, ashrams or synagogues — function as religious and social centers in contemporary society. The discipline addresses questions such as, how do leaders interact with congregants? How is the community’s sacred space organized to enhance prayer? And how do congregations interact with each other? Many Jewish scholars work in the field, and most of them study synagogues, but they must work across disciplines. There are no faculty positions in synagogue studies as such, which discourages research that could help synagogues function more effectively. In addition, the field of congregational studies “uses categories that are Protestant categories,” says Shawn Landres, research director for Synagogue 3000, and that may not translate well into areas of concern for synagogues. Jonathan Sarna, professor of American Jewish history at Brandeis University, concurs. He supports scholarship on synagogues within the general field of congregational studies, but says a discrete field that looks at the particular needs and concerns of Jewish religious organization also would be beneficial. Synagogue 3000 will “act as a catalyst” to generate interest in creating the new field, Landres says. The institute has identified key scholars and will convene them periodically — helping them network and find funding for their projects — and will act as a virtual university-without-walls to promote the growth of the discipline. The research will be conducted with an eye to practical application. Rabbis, Jewish educators and other practitioners will have critical input. For example, when a working group meets in December in Los Angeles to hammer out the parameters for the proposed new field, pulpit rabbis as well as academics will be part of the discussion, Landres points out, to ensure that research projects and curricula are aimed at producing work that real congregations can use. One of the institute’s first projects will be a study of synagogue space by David Kaufman, a specialist in synagogue architecture teaching at Hebrew Union College-Jewish Institute of Religion in Los Angeles. He will focus on how new building projects can work to enhance synagogue life — how, say, making the study hall rather than the sanctuary or auditorium the center of a building can demonstrate a synagogue’s commitment to Jewish education. Kaufman will use this research as the basis for a book that congregational leaders can use in framing their priorities in future building plans. None of the rabbinical seminaries currently teaches synagogue studies, though pieces of the discipline such as leadership development and theories of congregational organization sometimes are taught as electives. Norman Cohen, provost of Hebrew Union College-Jewish Institute of Religion in New York, confirms that Reform rabbinical seminaries offer elective courses in topics such as leadership development that could be part of a future field of synagogue studies, but adds that these have “always been pieces, fragmentary, not systematic.” Other movement’s seminaries “suffer from the same thing,” he says. This year the Reform rabbinical training program will begin to integrate leadership preparation into its coursework, Cohen says, starting with first-year students in Jerusalem. The required course will look at issues such as, “What is the nature of the institution they will be serving, how it is changing, what skills do the students need?” Cohen says. Jack Wertheimer, provost of the Conservative Movement’s Jewish Theological Seminary and a prominent scholar of American Jewish institutional life, applauds the Synagogue 3000 initiative. “While there are differences between the denominations, we continue to learn from each other,” Wertheimer says, noting that scholars and institutional leaders from many Jewish streams will be working together on the advisory board and in the virtual academy. Nancy Ammerman, professor of the sociology of religion at Boston University and one of the best-known names in congregational studies, speculates that Jewish seminaries didn’t jump on board as quickly as Christian ones because rabbinical education focuses so strongly on text-based study. Still, she points out, the field is quite new, so the development of a separate field of synagogue studies “is not that far behind” — and she expects to see it emerge within the decade.